Don't Put A Road Traffic Accident On Your Christmas List - Here's How To Keep You And Your Family Safe! With Christmas in full swing, most of don't have a care in the world. The festivities can entirely take over and our day to day lives are awash with food, drink, gifts and an abundance of fairy lights. But all is not always as it can seem with the month of December. Christmas time can bring about a whole hoard of different health hazards and dangers, ones that most people don't even think about. Some of these are very niche and rare - such as accidents involving Christmas trees or food poisoning from undercooked turkey. But one type of accident the country suffers from all year round and one which spikes during Christmas, is road traffic accidents. The absolute last thing you want is for you or a member of your family to involved in a collision around Christmas, or worse, on Christmas Day. Read on to find out how to keep safe on the roads. It's little surprise to anyone that road traffic accidents are more likely to happen in adverse weather conditions. 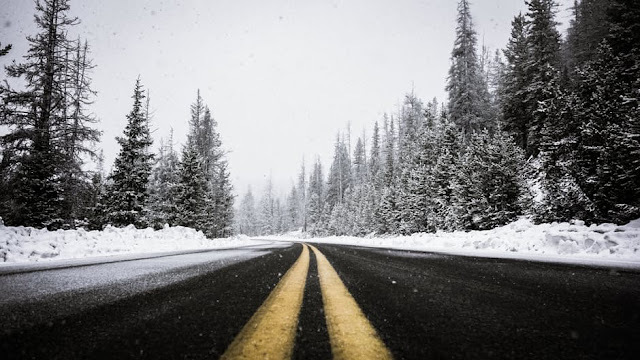 Limited visibility and slippery road surfaces can all contribute to drivers having less control than normal over their vehicles, and that is when accidents can happen. Ice is the main offender during winter - and seeing as winter has only just begun, we can expect conditions to worsen over Christmas and throughout January too. If you absolutely have to use your car in icy conditions, make sure you take all the necessary precautions. Keep your distance from other vehicles and drive slowly and smoothly, and remember to use the appropriate lights on your car. Christmas tends to be a particularly boozy time of year. Whilst there's nothing wrong with indulging a little, certain people will take this too far and will actually get behind a wheel whilst being over the legal limit. Having a second drink can double a person's chances of being in a fatal collision, so if you are designated driver for the evening, stick to that one pint and then move on to soft drinks. If you see anyone driving questionably whilst you are also on the road, notify the police and keep your distance from the driver. If possible, take another route home. Should the worse happen and you are actually involved in a collision, contact a firm such as Ronald Fletcher and Co. You may be entitled to compensation and they can offer you support should the case go to court. While Christmas Day itself sees very quiet roads, the days before and after can be extremely busy with people travelling to and from family homes. Many may be in a rush to reach their next destination and this can lead to some risky manoeuvres from certain drivers. Even though driving can be stressful at these times, remember the importance of staying calm. After all, getting there safely is the most important thing. If you need to take a break, pull over or visit a service station if you are on a motorway and gather yourself before setting off again.